about this book: Harry Cohen is London Desk for Mossad and Raithe Ravelle, an ex con is his assistant by arrangement with Tel Aviv. From a previous operation, Harry has unearthed a clue as to the whereabouts of the Amber Room, a Russian treasure thought lost at the end of WWII. After successful peace talks between the USA, Israel, the Arabs and the Russians there is a big secret that all parties have to keep from the public for two years. Harry does not trust Moscow. In order to keep them in line he blackmails them, telling them they cannot have the Amber Room for two years. Moscow are aware though that Harry is looking for the room, not in possession of it so they hire an ex Stasis colonel, Heinrich Liebermann to find the room first. 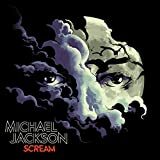 Harry discovers that the man who supposedly hid the room is Nazi General Reineke who devised a brilliant smuggling route which it is revealed, is still being used today by a big corporate smuggling organisation. Arms and in particular the latest hand held neutron rocket launcher have been stolen and are being smuggled across the USA and then through Russia and Europe before ending up with a terrorist organisation in the Middle East. So starts a train chase through six countries as Harry and Raithe follow the arms train one step ahead of Liebermann and his deadly men who are out to kill for the arms shipment and the location of the AMBER ROOM. Crate of Lies is a complex mystery surrounding lost artefacts from the second world war and modern day arms smugglers. Both stories become interlinked by those greedy for money and power and those dedicated to fight for peace. During the second world war many priceless pieces of art were stolen by the Nazi members, and this story follows the journey of The Amber Room, Baroque art given to Peter the Great by a Prussian King and later lost by the Germans in 1945. Or was it? In 1952 a set of mysterious events took place in Broken Mountain, Sachsen- Anhalt, a pit was discovered with soldiers bodies. Hienrich Liebermann is heavily involved with a very lucrative arms smuggling ring, but he also believes he can get possession of the long lost Amber Room and sell it back to the Russians. The thorn in his side is Harry Cohen, fine arts dealer on the outside, Mossad agent behind the façade. The Americans have lost some serious rockets which they believe are on their way to the Middle East via a well organised smuggling pipeline. Harry and his team are brought in to work on stopping the rockets getting to their destination. 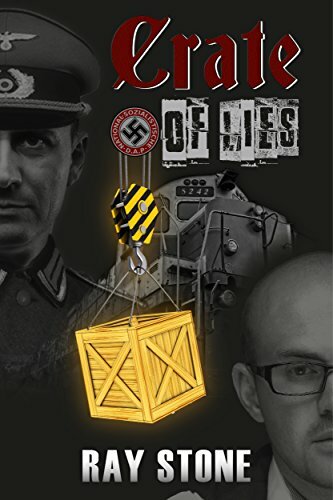 'Crate of Lies' is a thrilling, fascinating, intelligent, multi-faceted, multi-level, detailed yet fast-paced page-turner with many surprises from the first paragraph – no slow intro here! – to the end. Then there are the 'ah ha!!' moments – until you realize that you've jumped the gun and fell for his red herrings! Back to the reading board, wondering once again where all this will lead! Ray Stone's latest thriller is the multi-layered tale we've come to expect from this still-improving author. Start with a smuggling pipeline designed by a general from World War II, add some priceless - and legendary - missing Russian art, and an American trawler in the Bering Strait. Mix in the theft of some American missiles, the efficiency of German rail networks, and some covert spy operations. You'll be dragged across Europe in a frenetic chase, with a body count that rivals an online first-person shooter game. Crate of Lies is an espionage and suspense novel by Ray Stone. This is his fourth novel in the genre. The first chapter sets up the scene with a 1952 event, which is beautifully crafted. The reader feels he or she is almost part of the scene with vivid descriptions of a snowstorm. The nub of the novel is in the truck's freight – highly valuable icons stolen by the Nazis. The novel then launches in 2016 in the Bering Strait. Something is definitely not right. The crew on the Valerie Nintz are very agitated as the Coastguard demands to inspect the Valerie Nintz, a trawler which is carrying some very interesting crates and is not in its reported location. When it off loads its illegal cargo it explodes and the sea swallows up all record of what it carried. Then we meet Harry Cohen, London desk for the Mossad and a leading English dealer in fine arts and rare stones. This is Raithe Ravelle's boss. He is part of an allied group masterminding a peace agreement in the Middle East. Authorities agree to complex deals but are afraid of broken promises. Nothing is as it seems and we soon discover that terrorist organisations have infiltrated legitimate government agencies. People who claim to be working towards an agreement between enemies are in fact, out to thwart the hero; Raithe's efforts to get the Amber Room into the right hands and the peace negotiations resolved. There are narrow escapes, as one would expect in a novel of this genre, and there are several frenetic chases across continents. An unexpected love interest that seems to throw the hero off course, appears. Then she makes the ultimate sacrifice to save Raithe. He dusts himself off and resumes the chase across continents to ensure that the secret of the Amber Room does not get into the wrong hands. Every narrow escape adds to the mounting head count until the hero and anti-hero meet and there is a final shoot out. Ray Stone has written another exciting, complex thriller filled with great characters, an involving plot and many twists and turns that will keep you on the edge of your seat. A desperately needed Middle Eastern peace deal is dependent on a group of people keeping a very big secret. Unfortunately, one of the players can't be trusted. Harry Cohen, is involved in one of the biggest deals of the century but before they he can get the job done he and his right hand man, Raithe Ravelle, need to iron out a few little situations, namely finding the Amber Room, thought to have been hidden during the Second World War, and now being desperately sought by some of the players. With the clues leading them on a wild chase across Europe by rail and then onto the United States, the men have to ensure they stay ahead of the very real danger just one step behind them and quickly catching up or it will surely end in death for both them and the peace deal.